CSMBB attorneys represent employers in state and federal court, and proceedings before the DOL, EEOC, TWC, and other agencies. CSMBB attorneys frequently train clients’ management teams and HR professionals. CSMBB attorneys have decades of combined experience in advising employers on the intricacies of labor and employment law compliance. Cornell Smith Mierl Brutocao Burton, LLP is a full service employment law firm. Its attorneys advise employers, train employers' management teams, and represent employers in court and agency proceedings. Founded in 2003 in Austin, Texas, we’re committed to excellence in representing employers. The firm was started by a group of experienced labor and employment lawyers who had practiced for years at large national firms. Over the last fifteen years, they have been joined by others to form what has become the oldest, multi-attorney, labor and employment law firm based in Austin, Texas. 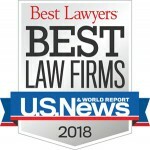 In a more focused boutique environment, Cornell Smith Mierl Brutocao Burton, LLP continues to provide excellent legal representation, but with even greater cost effectiveness. Appellate Court Deals Blow To Austin’s Earned Sick Time Ordinance – to read more, click here. Scott Brutocao will present “California Law for Texas Employers” on Tuesday, January 22, 2019, from 9 am – 12 pm at the Norris Conference Center in Austin, TX. Learn more about the seminar or click here to register. We are proud to announce the addition of Theresa M. Gallion as a partner in Cornell Smith Mierl Brutocao Burton, LLP. Theresa brings a depth of experience spanning more than 35 years. In addition to representing employers in advice, training, and litigation, Theresa also assists higher education clients regarding compliance with Title IX. She joins us from Fisher Phillips where she was the founding partner of the Orlando and Tampa offices. Theresa was awarded her B.A. from Louisiana State University in 1976, and her J.D. from Louisiana State University Law Center in 1981. She is licensed to practice in Texas, Florida, and Louisiana. Click here to learn more about Theresa.